Ross Meurant: The case for decriminalisation. What simply does not work is the system of severe penalties for producing, transhipping and selling substances deemed illegal. During my first four years as a National MP I initiated four policy papers, three of which were ultimately embraced as party policy. But the fourth, to legalise drugs, failed miserably. By the time I articulated my views on this subject in my second book, The Beat to the Beehive, I had wimped out under internal National Party pressure and merely articulated a case to study, in depth, the consequences of legalising cannabis, and to consider changes in that direction. Privately I argued all dope should be decriminalised and now, 10 years later, I believe the evidence I gathered is as valid as ever. My case in 1990 was based on research done during my last few years in the police. 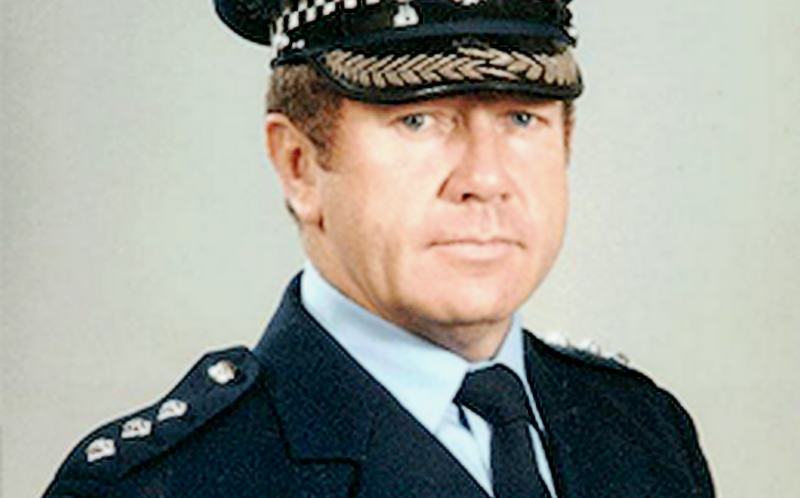 As an inspector and university student I had high-level access to police data and an academic interest in drug crime. The research suggested that perhaps 50 per cent of all crime in New Zealand was drug related. The data – which I collected in the Auckland police cells and extrapolated as a hypothesis across the country – covered arrests for importing; supply; possession for supply; thefts, burglaries and robberies for drugs or money to buy drugs. Possession for self-use brought up the rear. It was obvious that a high percentage of serious crime – such as bank robberies, kidnappings and serious assaults – had a drug-related theme. Gangs needed ready cash to make down-payments on large imported caches, addicts needed cash to feed their habits. Then there was gang warfare over territorial distribution rights and retribution over payments not made. It occurred to me that the police workload might be reduced substantially if the drugs people fought over, killed for, and died protecting, were dispensed through government-licensed outlets – just like alcohol. It would be possible to establish the names of all who entered government-licensed stores to make legal purchase of substances we presently deem illegal. This record of “users”, those who used hard drugs such as heroin, could be placed on a register for treatment and counselling from health professionals. Drug addiction, like alcoholism, is a sickness. It should not be treated as a crime – although penalties for abuse in a public place would be part of the armoury of the state to protect other citizens from those who took drugs lawfully but caused a nuisance. This is what happens now with alcohol. The question of young people being vulnerable is no more potent a concern with drugs than with alcohol. Alcohol has an impact on perhaps 75 per cent of crime, and much road carnage. It is not good for your health, nor does it have spin-off benefits for the community. Yet we as a society tolerate continued advertising of alcohol as a desirable cultural characteristic – and why? I suggest it is the power of the brewery lobby and the recognition that prohibition simply won’t work. The best way to control alcohol use by young people is not to make it unobtainable but to impose draconian penalties for misuse, particularly where the effects of misuse are manifest in a public place or impact adversely on others. Zero tolerance with drink-driving for people under 28 is my start point. Overnight in a police cell for street drunkenness is another bottom line. The rationale being: abuse of a substance lawfully available is where the penalties should fall and not on supply or possession, which effectively stimulates a black market and underworld. This same rationale I suggest could be applied to drug use. What simply does not work is the system of severe penalties for producing, transhipping and selling substances deemed illegal. Whether it be the death penalty, life imprisonment or examples of many past and present profile cases where mere “mules” let alone people higher up the supply chain are imprisoned in foreign jails with terrifying reputations. All these and other attempts to prohibit possession and use of drugs through a punitive approach to the supply line have failed. Instead, the policy has spawned drug barons with the wealth to own private armies which deliver terror to the doorsteps of politicians, judges and police and by this corruption govern entire states de facto. At the same time, the impact of the drug trade on the world economy is massive. Recently, former United Nations Secretary-General Kofi Annan acknowledged that the international war on drugs had failed. Others suggested that the international community (a euphemism for “someone else – not me”) revisit the question of legalisation. It is my contention that the pain to society of trying to protect a minority from themselves is disproportionate to the benefits to society. * Ross Meurant is a former MP and drug squad detective. Previous PostVictim blaming: totally acceptable for non-sexual crimesNext PostHappy Birthday Jimi.